I have tried to start this post several times, attempting to find an elegant way to talk about such an inelegant thing as the attack in Nice this past Thursday. I thought I’d just be analytical and explain how tourism in Europe, especially France, has fallen 13% as people have stayed away. I thought I’d talk about how terror won’t dictate our travel to foreign lands. I thought I’d compare the odds of being killed in a terror attack (1 in 20 million) with the odds of being killed by a gun in the U.S. (3.4 per 100,000). I thought of putting the attacks in a historical perspective, reminding us that France has been there before and carried on like after the 1961 bombing of the Vitry-Le-Francois train bombing carried out by the OAS. The attack killed 28 and wounding more than 100. 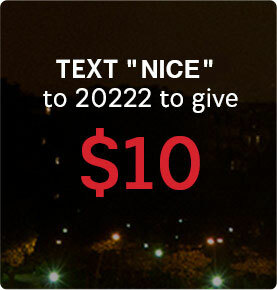 I thought I could tell you how you could help the victims by texting “Nice” to 20222, that’ll send $10 to Give For France, or donating to the French Red Cross, or how you can look into helping the UN’s mission to help victims of terrorism through their information and donation portal. I thought of speaking mournfully in solidarity with the people of Nice, and France as a whole, offering our condolences and heartfelt wishes for peace. Yes, that’s what’ll do. We’ll pray for those touched by the attack, offer our support, and hope for peace.